Saint Joseph is not mentioned very often in the Bible. He is remembered as the husband of Mary and the foster-father of Jesus. Saint Joseph is the foster-father of Jesus because God is Jesus’ real father. Joseph was a poor, humble carpenter who lived in Nazareth. He was a decedent of King David. Mary and Joseph were engaged but when Joseph found out that Mary was going to have a baby, he decided to divorce her without making a big deal so Mary would not get in trouble. That night, Joseph had a dream and the angel told him that Mary’s child was the Son of God and that he should not be afraid. 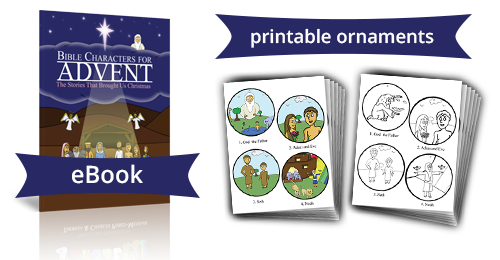 From the Bible we know that Saint Joseph was a carpenter and that he was very compassionate, caring, gentle, and obedient. He had another dream after Jesus was born telling him to escape to Egypt because Herod wanted to kill Jesus. Whatever God commanded – Joseph obeyed. He took good care of Mary and Jesus and he was a hard worker. Many historians believe that Joseph died before Jesus entered his public ministry. He is remembered as a simple man and in the Bible he does not say a word. At one time there was a famine in Sicily and the people prayed to Saint Joseph to end the famine. After the end of the famine, the people thanked Saint Joseph for his intercession. They filled a table with food and after praying to Saint Joseph, the food is then given to the poor. The table is arranged in three tiers, representing the Holy Trinity and a statue of Saint Joseph is placed in the center of what is known as Saint Joseph’s Altar. This tradition is still popular today every year around March 19, Saint Joseph’s feast day. March 19 is the feast of Joseph Husband of Mary. In addition, May 1 is the feast of Joseph the Worker. Pope Pius XII instituted the feast on May 1 in 1955. May 1 is also May Day or International Workers’ Day. Saint Joseph is the patron of the Universal Church, unborn children, fathers, workers, carpenters, expectant mothers, families, house sellers, and craftsmen. He is also the patron saint of a happy death and of the dying because he supposedly died with Jesus and Mary beside him which is something we all wish for. Oh, St. Joseph, I never weary of contemplating you, and Jesus asleep in your arms; I dare not approach while He reposes near your heart. Press Him in my name and kiss His fine head for me and ask him to return the Kiss when I draw my dying breath. St. Joseph, Patron of departing souls – Pray for us.